HC Heavy Contractor plows fit up to a 27,500 lb. GVW and are designed for heavy contractor work as well as municipal applications. Fisher Engineering, manufacturer of Fisher snow removal and ice control equipment, has launched the HC Heavy Contractor plows. The plows fit up to a 27,500 lb. GVW and are designed for heavy contractor work as well as municipal applications. In order to handle the toughest tasks, the HC plow's 11-gauge powder-coated steel blade is reinforced with eight vertical ribs. It also includes larger hydraulic rams, pins, gussets and hardware, plus a T-frame design with a massive center pin. All of that adds up to deliver some of the strongest plow performance in the industry, according to the manufacturer. The plow stands 34 in. (86 cm) tall and comes in 9 and 10 ft. (2.7 and 3 m) widths, allowing it to clear large properties or long roads efficiently. 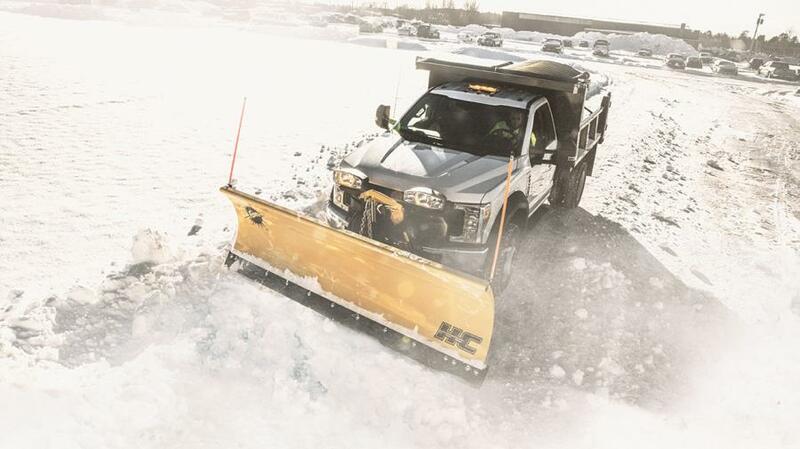 The HC plows feature faster hydraulics than the prior models and a new oscillating A-frame for improved scraping and cutting-edge wear. The hydraulic systems also are built by Fisher Engineering specifically for Fisher plows, ensuring quality and performance. All critical components of the hydraulics are enclosed and protected from even the worst weather conditions. Like with any Fisher plow, the HC plow comes complete with user-friendly universal control options, the MinuteMount 2 snowplow mounting system, the Security Guard anti-theft system, and many other features. Customers also can customize the HC plow with a wide range of accessories, including snow deflectors, blade angle stops, shoe kits, cutting edges and more. For more information, visit www.fisherplows.com.